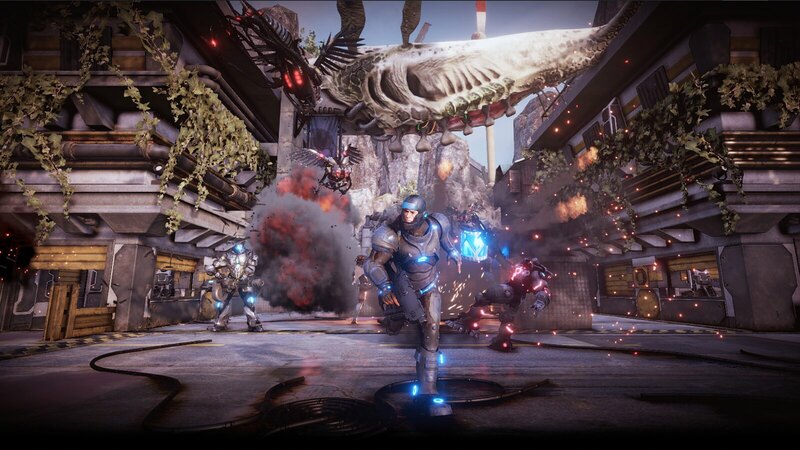 Game producer Steven Sun shares details about the game's setting, development process, and technical innovations behind this intense third-person shooter. 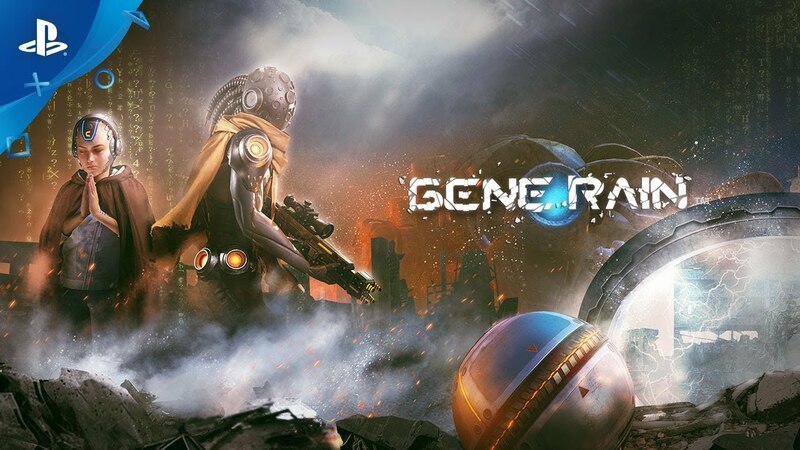 Gene Rain is a futuristic third-person shooter launching on PS4 tomorrow. It takes place at the end of the 21st century, a time when science and technology are developing incredibly rapidly. The collision between man and technology brings the world into endless conflict, and society is fragmented by inequality as the majority of people can’t adapt to the fierce competition that ensues. There are two opposing forces in Gene Rain. First, meet senior statesman of the quantum technology circle: Dr. Bill Feynman. Dr. Feynman aspired to change the genetic structure of human beings to make everyone’s IQ equal. He created genetic spraying agents, and used his power to build modified wind towers to spread the agent around the world. Gene mutation brings a completely new evolution, but unfortunately, not everyone can adapt to the change in genetic structure and many die in the process. 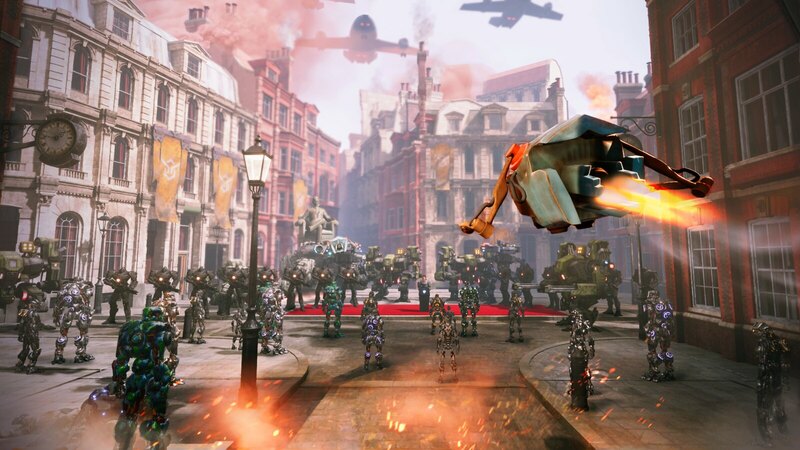 Development of the game started in 2014, when we were still video game outsourcing contractors. A group of us were very eager to make our own game, so we established a game research and development studio in 2015. 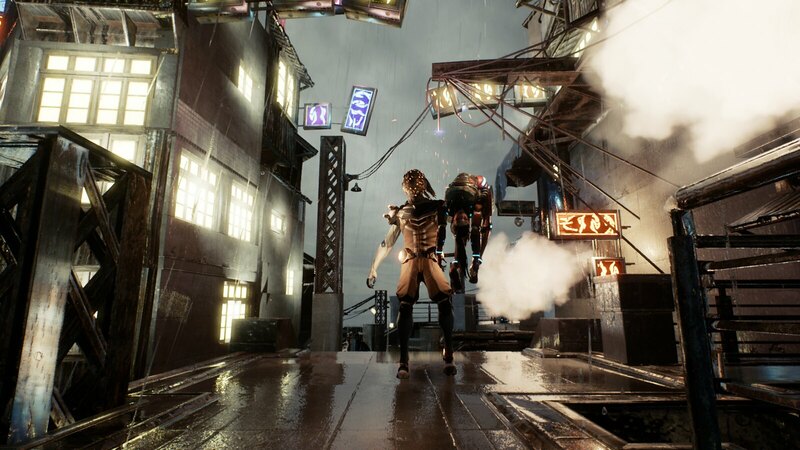 We wanted to create a next-generation console game, and after a series of discussions, the Gene Rain project emerged. During the development process, we stayed up countless nights to finish the project. Each scene in the game took an average of three months to debug and polish. Sometimes it was hard to find the balance between artistic reality and actual reality. Finally we created a refreshing TPS game with a modern style and a compelling sci-fi setting. We hope you enjoy it as much as we enjoyed making it! But enough from us. You are now ready to begin your apocalyptic journey. I don’t understand why this blog NEVER links to the store page for articles like this. Why do you put articles like this up and then not have a store page? It makes no sense. 1 how much will this be? 2 how many people can play online and what kind of game modes are there? Looks intriguing but how much will it cost. If its 19.99 with a plus discount you have yourself a buyer and Day 1 player. Thanks, man! Тогда всё же возьму игру! buyers beware this game doesn’t look pretty like these pics u are viewing, this game is extremely boring and not to mention the controls are beyond horrible look on my profile you’ll notice i bought the game and sony refuse to give me a refund so please don’t believe the hype with this game it is very poorly made and extremely boring and colors are washed out compared to the screenshots its a shame that sony allow games like these on their platforms.its pure garbage for 24.99.stay away! Apologize this game didn’t reach your expectation, thanks for your comments and I’ve forwarded it to our team to see whether we can improve them. We’ve collected a lot of feedback from players,even we’ve gone to E3 to get users’ feedback,improved the game a lot according to the feedback then we decided to release the game,but we know it’s not enough,we’ll continuously improve the game and update patches,DLCs. Could you please kindly contact our customer service email:cq@dianlivr.com to help us? Can someone explain why armor from the video game Section 8 is in this game? Its bugging me a lot.